Will you fall for the look and charm of a new clutch, a pair of new boots perhaps, or our stylish lid for the 60L Organics bin? This lid hails from our long awaited AW18 range, featuring a sleek design and an undeniably attractive finish reminiscent of vintage Versace. 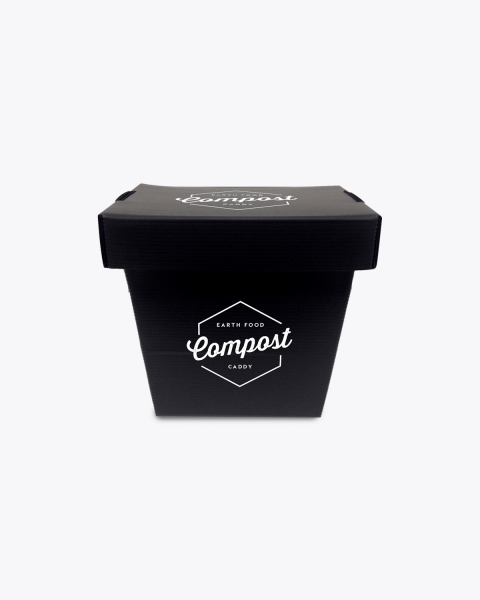 Will you fall for the look and charm of a new clutch, a pair of new boots perhaps, or our stylish lid for the 25L Organics bin? This lid hails from our long awaited AW18 range, featuring a sleek design and an undeniably attractive finish reminiscent of vintage Versace. Will you fall for the look and charm of a new clutch, a pair of new boots perhaps, or our stylish lid for the 60L Organics bin? This lid hails from our long awaited AW18 range, featuring an opening in the lid for easy disposal and overall sleek look reminiscent of vintage Versace. Organic waste; also known as green or food waste is something we all produce everyday. Luckily we can work towards zero food waste and change our habits in the meantime by implementing Green Organic Waste bins. Our organic indoor bins are ideal for offices, schools and public indoor spaces, particularly in kitchens and areas where food is consumed. Our Original bold coloured range is 100% recyclable at the end of its life; suitable for popping into your curb side collection bin. 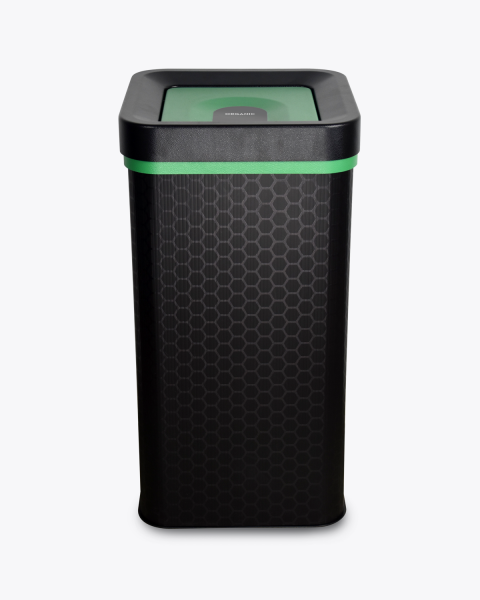 Our black range of Waste Stream bins are made from post-consumer recycled plastic, these indoor bins are the ideal choice for the most environmentally conscious organisations. 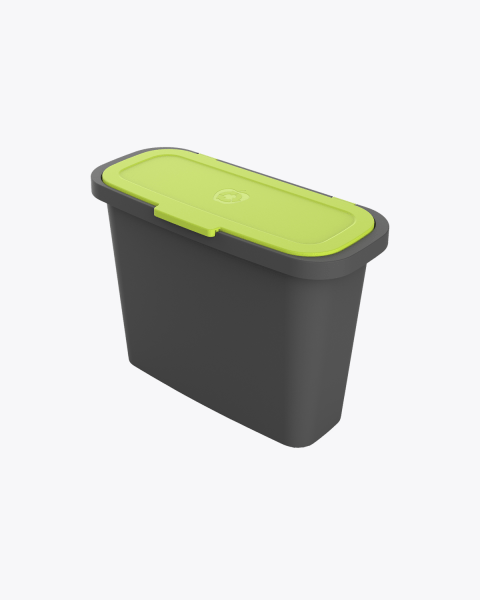 Available in a range of styles, including with, or without a lid and smaller versions for areas with limited space, these indoor bins are perfect to keep you accountable with your recycling and organic waste. Did you know that 85% of the items we throw out could be reused or recycled? Our organic indoor bins are the best tool to help divert organic waste from landfill. Organic waste in landfills produces methane, a greenhouse gas 25 times more potent than carbon dioxide – attributed to global warming. In addition, the water flowing through landfills forms leachate, which contaminates ground and surface water with hazardous substances, detrimental to all living creatures. Organic waste is considered the “good” type of waste because it is not a substance such as plastic, discarded electronics or aluminium that will last for thousands of years. However, because it begins degrading as soon as it is produced, it also means it’s the messiest type of waste to deal with and dispose of. HOW DOES THE INDOOR ORGANIC BIN WORK? 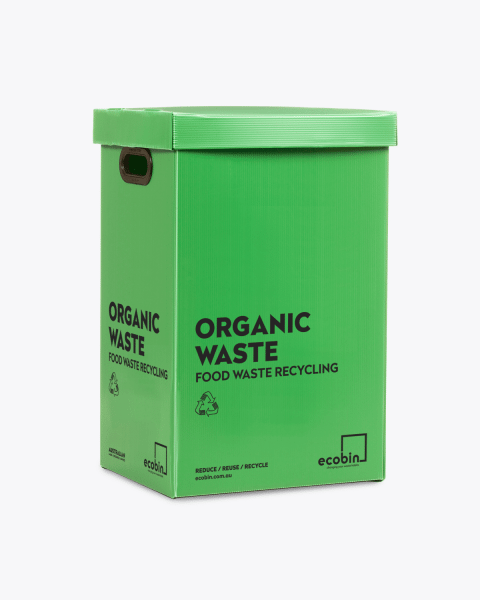 The Ecobin Green organic indoor bins can hold all your household, school or office food waste. These indoor bins are made to be durable and washable so that you can get as much use out of them as possible, plus they can be easily cleaned with a damp cloth. Your indoor bins will ensure that your staff aren’t tempted to drop their fruit and vegetable scraps into general waste, and will instead help you to make the most of your organic waste collection program. If your office has an Organic Waste collection service or onsite composter, ask to have your cleaners regularly empty your indoor green waste bins there instead of the general waste bins. Like plastics, organic waste needs to be separated at the source for recycling and collected in specific indoor bins. It is important to only place the correct items in your organic indoor bin as contamination (placing the wrong type of material into the bin) can actually have a huge impact on the composting process and can even cause an entire truckload of organic waste to be sent to landfill, putting all of your hard recycling work to waste. To ensure that your green organic indoor bins are being used correctly, ensure you educate your staff, school or household in the correct use of the organic bins. You could also place an educational poster above the bin so that when people are throwing their waste away, they know exactly what bin their waste should go into. WHAT CAN I PUT IN THE INDOOR ORGANIC BIN? 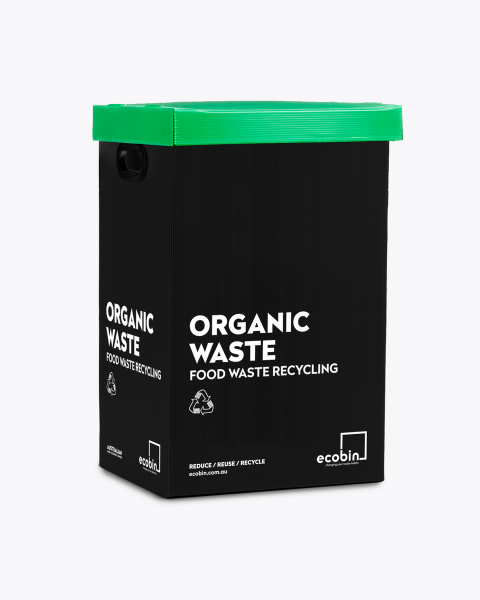 Organic waste is the classification used for biodegradable materials derived from a plant or animal, so naturally it’s best if it’s put back into the earth by means of composting. Our local farmers and growers can then use the organic waste compost from our green indoor bins to improve the health of our soils, and make the land more productive. This also helps to keep organic waste out of our landfills, where it isn’t wanted. 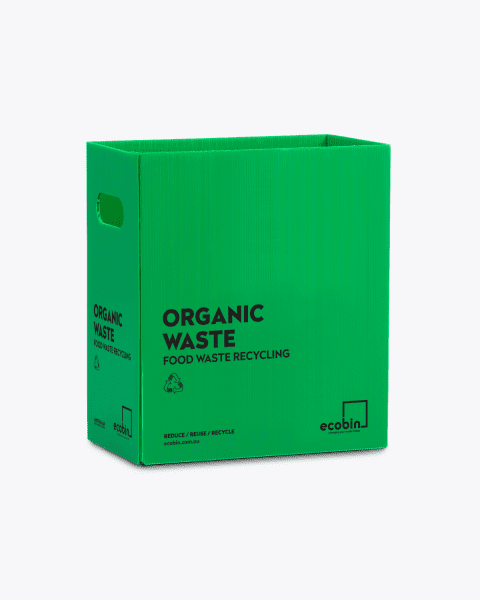 You can place any kind of organic waste in your organic indoor bins. Including grass clippings, food and vegetable scraps, old flowers, tissues and paper towel, tree branches, garden pruning’s, weeds and any organic rich material. These are items that can contaminate your waste and cause your entire organic waste bin to be sent to landfill. 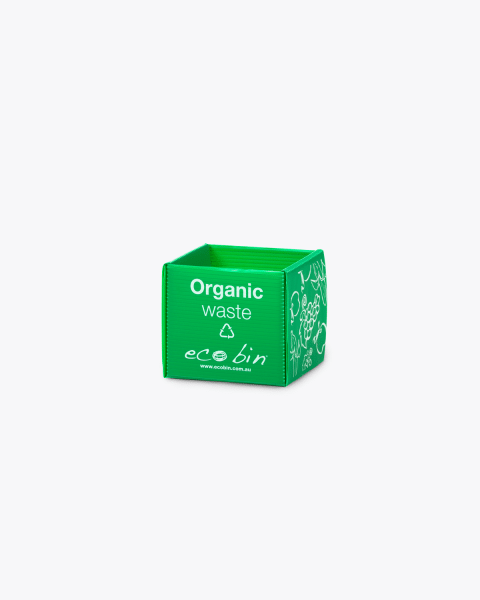 Ecobin’s organic indoor bins are made of corrugated plastic. 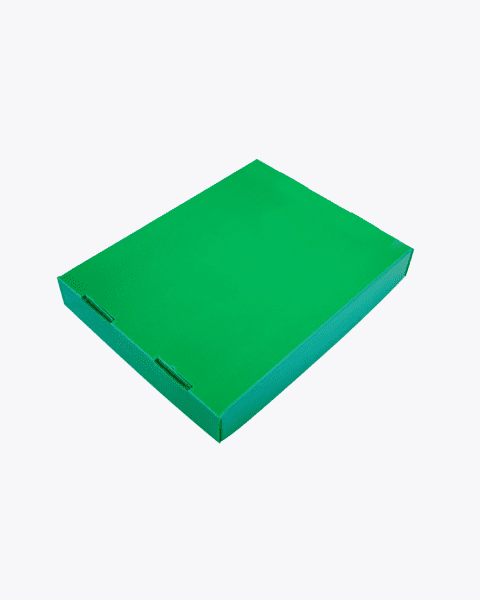 Our bins require substantially less energy to manufacture than injection moulded plastic bins and / or metal bins, which is why they are a great alternative. Ecobins are tough and designed for reuse, but even good things come to an end. 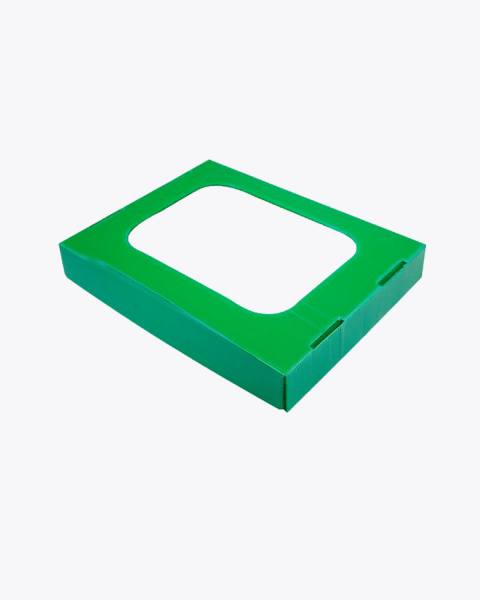 Conscious of the impact our products have on the Earth during every stage of their life, we’ve made your Ecobin fully recyclable. At the end of its hard life, just pop the bin in your recycling bin for collection.